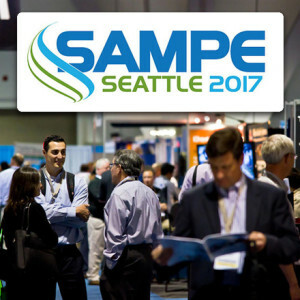 The Rubbercraft team are looking forward to catching up with customers – and meeting new people – at the forthcoming SAMPE exhibition in Seattle, due to run from 22nd May to 25th May 2017. We’ll be out in full force on Stand D38 so do drop by to hear about the latest advances from Rubbercraft. The only technical conference and exhibition that is exclusively focused on advanced materials and processes, SAMPE promises to be an exciting few days, connecting delegates and exhibitors with emerging innovations, business solutions and proven technology advancements. For a taster, here’s an abstract but you will be able to access the entire paper later in May at showtime! Take a look at our Informational Flyer about our products to feature at the exhibition. When JEC World 2017 closed its doors on March 16, 2017,the Rubbercraft team certainly felt that it had been a busy few days – with many existing clients greeted and valuable new introductions made. Attendance figures recently published by the exhibition bear this out, with the show posting a double-digit attendance growth and 40.607 attendees from 113 different countries. With all the latest innovations and expertise from Aerospace, Automotive, Better Living and Building showcased, JEC presented an ideal networking opportunity for Rubbercraft and Alex Edge, Business Development Manager CFE, reports that, following post-show analysis, JEC is an excellent forum for Rubbercraft. “It was great to have the opportunity to meet up with so many existing customers in one place” says Alex ” but we are also particularly pleased with the number of new contacts made. 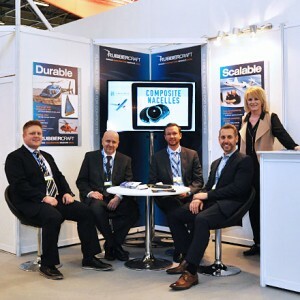 There was significant interest in Rubbercraft’s Reusable Vacuum bags (RVBs); leading OEM customers in the aircraft sector are already using this high performance RVB solution, typically for producing large scale FRP composite parts moulded using an epoxy infusion resin, and we’re looking forward to talking to new customers in the Aerospace & Defence, Wind Energy and industrial sectors following JEC”. Visit the downloads section of the site to get a data sheet. Go to https://www.rubbercraft.com/downloads , select Product Information in Document Downloads and then choose Vacuum Bags Information Sheet. At JEC World 2017 in Paris (March 14-16), Rubbercraft (Hall 6, Booth D68) is showcasing its latest capabilities to design and custom manufacture elastomeric Reusable Vacuum Bags (RVB). Leading OEM customers in the aircraft sector are already using this high performance RVB solution, typically for producing large scale FRP composite parts moulded using an epoxy infusion resin, or an epoxy prepreg system either in, or out of autoclave. Rubbercraft’s customized RVB product offering includes large and complex shaped bags that can feature integrated breather layers to effectively prevent permeation and can be in direct contact with epoxy resin systems. The products are primarily aimed at Aerospace & Defence, Wind Energy and industrial sectors where a high confidence level to consistently precision mould void free, high quality fibre reinforced composite components to exacting specifications is a critical factor. According to Rubbercraft, its RVB sheet production process and custom design service provides customers with a very reliable reusable tooling solution, which not only produces higher quality mouldings time after time, but also offers a lower cost per cure and reduces labour and materials cost. Overall, this RVB system offers manufacturers a lower amortized tooling cost alternative to a disposable bagging system, especially for advanced composite parts needing compacting or debulking as part of a multiple ply moulding process. Rubbercraft provides customers with a totally customised system solution, where the final RVB product supplied meets the specific needs of an individual component, custom designed and manufactured in sizes up to 20 m² (215 ft²). To do this, engineers from Rubbercraft’s technical team based in Long Beach California are involved from the start to ensure that the RVB compound materials used and sheet layering design specification matches customer needs in terms of: heat and pressure processing parameters; any extra release coating requirements, such as FEP/ PTFE; the desired part surface finish and detail; the estimated number of pulls and overall longevity of the RVB to ensure financial payback. Software tools used include: Solidworks, CATIA, MasterCAM, Unigraphics, IGES, STEP, AutoCAD, and Pro-E.
To provide superior properties and performance in use, Rubbercraft only uses 100% virgin raw material compounds from approved suppliers. The manufacturing process produces improved elastomeric properties, which enables the RVB to consistently produce moulded parts with a superior quality surface finish and dimensional accuracy, as well as providing the added benefits of greater bag longevity, with little if any deterioration in the surface condition or elastomeric properties. Typically, either a silicone rubber (max 150 °C, 302°F) or high rated fluroelastomer (max 200 °C, 392 °F) based raw material compound is specified to produce the initial uncured calendared sheet from which the RVB will be cut once fully cured in a heat treatment oven. The final stage is to cut out the exact size of RVB required and bond into place the edging and outer seals using an RTV silicone adhesive (Room Temperature Vulcanization silicone) system. Multi-layer bags are also assembled using an additional breather layer and integrated vent ports. The bags can include edge seals that can either be integrated into the hard tooling or seal to the hard tooling. Rubbercraft elastomeric tooling solutions have been used by OEMs for a wide variety of aircraft development and production programs, including Boeing’s 787 Dreamliner and Airbus’s A350XWB. Rubbercraft is fully ISO 9001 and AS9100 accredited, with a proven 25 year track record of supplying elastomeric tooling solutions for a wide variety of composites aircraft applications including: winglets, nacelles, wing spars, horizontal stabilizer stiffeners, fuselage, doors and other complex shaped components that require trapped tooling such as bladders or mandrels. A wide range of composite manufacturing processes are supported by Rubbercraft’s solutions, including Inner Mould Line (IML) and Outer Mould Line (OML) designs, Autoclave and Out of Autoclave (OoA) processing. Rubbercraft will be attending and can be found in Hall 6 Booth D68. We hope to see you there! Visit the JEC World 2017 website for more information about the event. 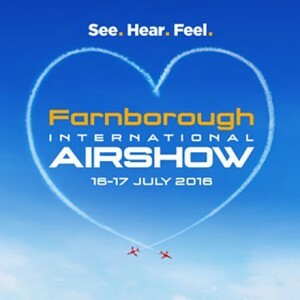 Aerospace is a key market for Rubbercraft, so where better to showcase the company’s expertise than at the Farnborough International Airshow? Our focus at the show will be to introduce the newly formed Group structure – and also to present the IPS Europe team. From their Sheffield AS9100 Rev C (UK) site the IPS Europe team has the capability to deliver a global network for design, engineering, manufacturing and sales support . The team will be on hand to promote and showcase their multifaceted, comprehensive aeroseal S&G product range. 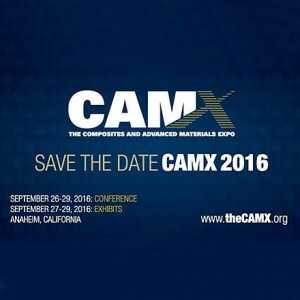 The Rubbercraft team will be on their travels again in September when we exhibit at CAMX. 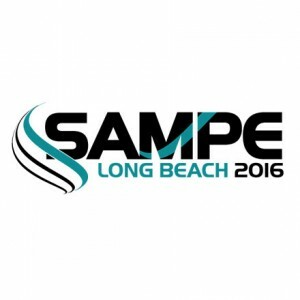 The Composite and Advanced Materials expo this year will be hosted at the Anaheim Convention Center and Rubbercraft will also be presenting a paper to showcase the company’s unique range of CFE solutions. With an ongoing commitment to exceeding client expectations and delighting with innovative solutions, Rubbercraft is setting out to reshape expectations. We are, in fact, ‘Bending the Expectations of Engineers from across the globe’. 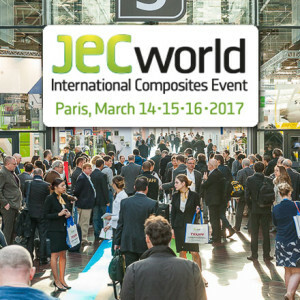 It doesn’t seem long since we were building up to JEC World Composite show in Paris, March 2016 – and now we are busy following up the leads and contacts generated by a very positive show! 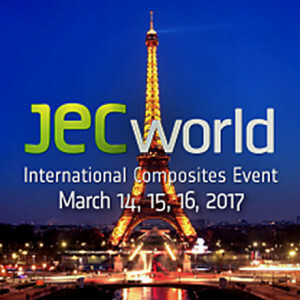 Previously known to us all as JEC Europe, the show rebranded for 2016 as JEC World, to reflect the dynamic global growth of the of the composites industries. The show also enjoyed a new, bigger and more accessible venue at Paris Nord Villepinte Exhibition Center, only 5 minutes from Roissy Charles de Gaulle – a very necessary move since, with more than 100 countries represented and an annual 6% growth of visits, JEC World has become the largest international show of the composite industry. With more than 1300 exhibitors, 100+ countries represented and, importantly, 30,000 delegates it was a perfect opportunity for Rubbercraft to showcase the CFE range of products and solutions. Engineers from around the globe were able to see first-hand some of the flexible tooling available from Rubbercraft and to discuss specific applications and challenges they are facing with Rubbercraft technical engineers.